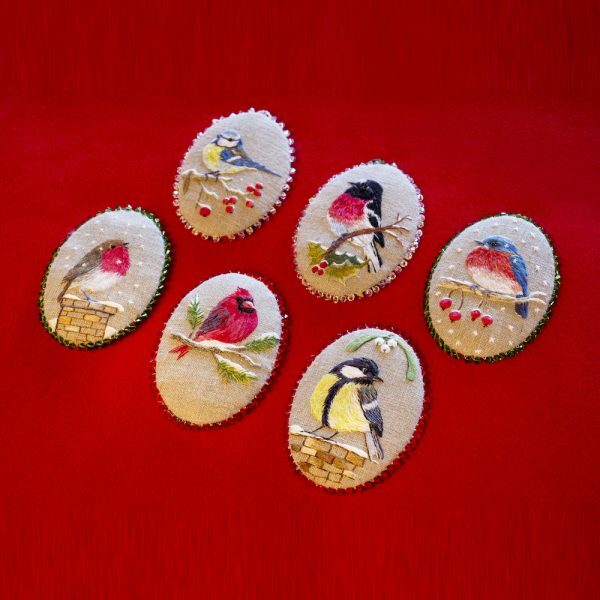 Make up one or all of these six festive snowbirds for that special friend or simply to add to the Christmas decorations in your own home. 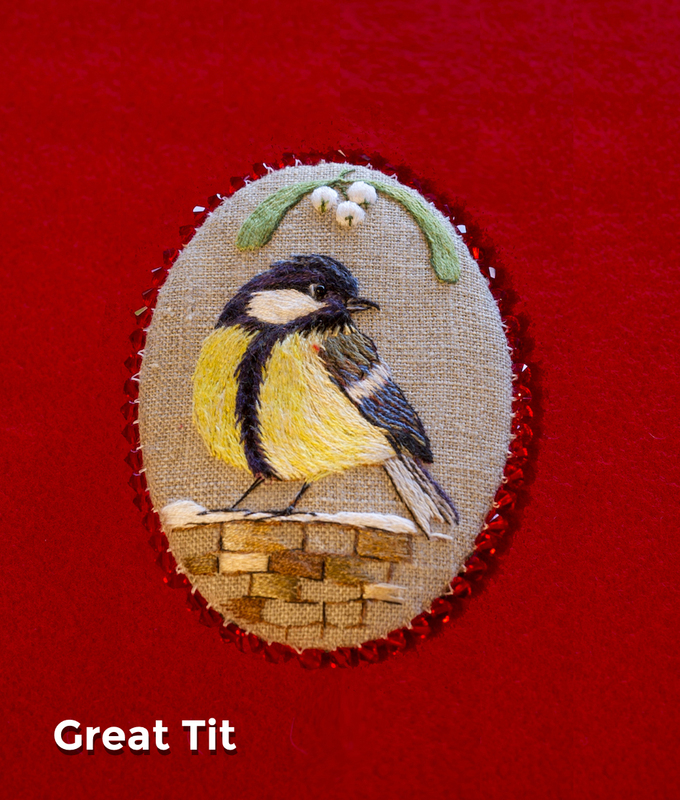 Ideal for hanging on the Christmas tree, mantle piece or in a child’s bedroom. Each of the six individual kits have all of the elements to stitch and construct one complete Christmas ornament. 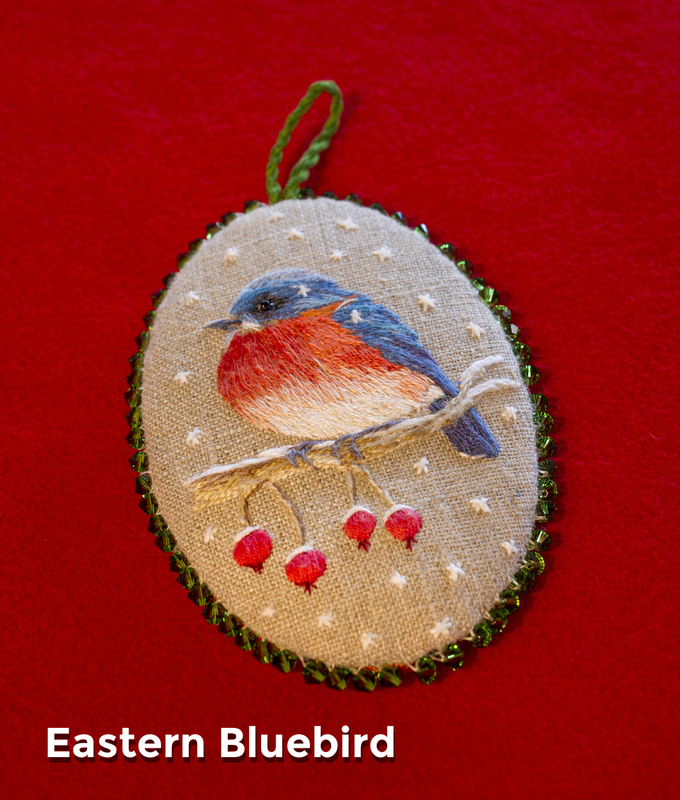 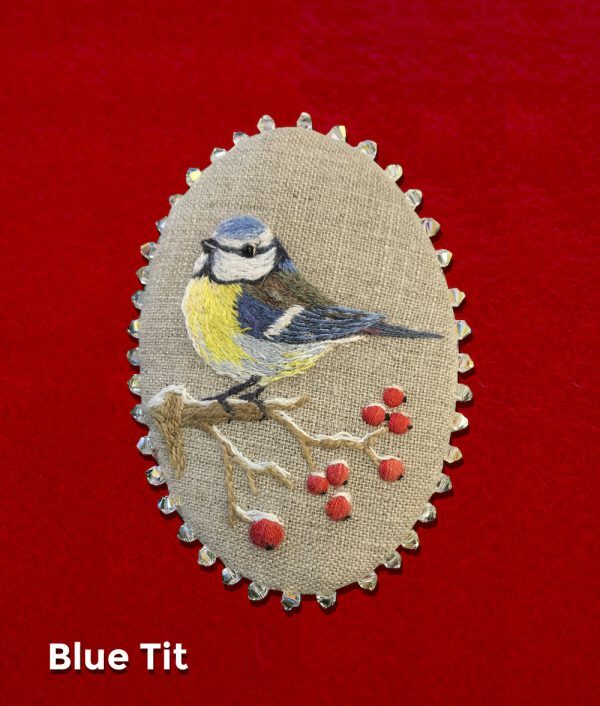 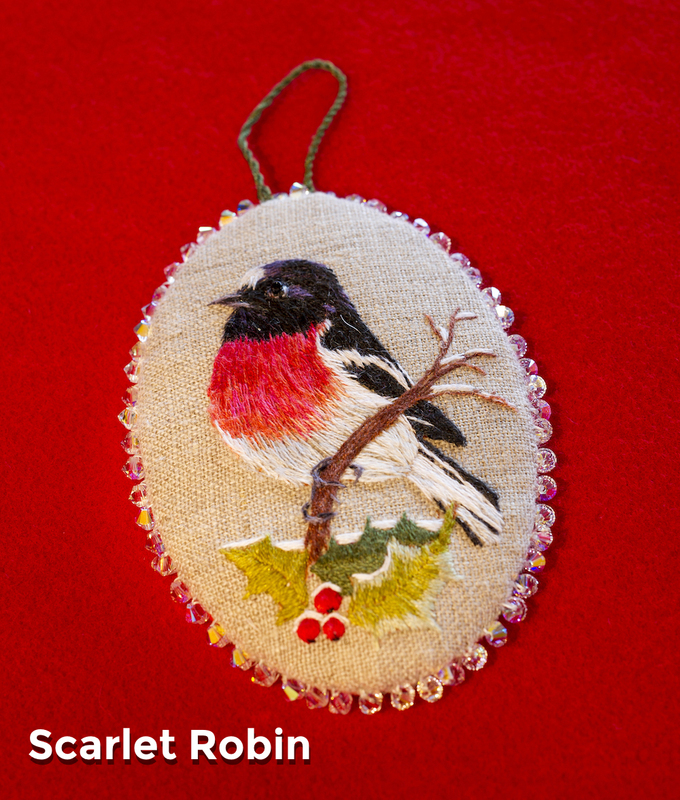 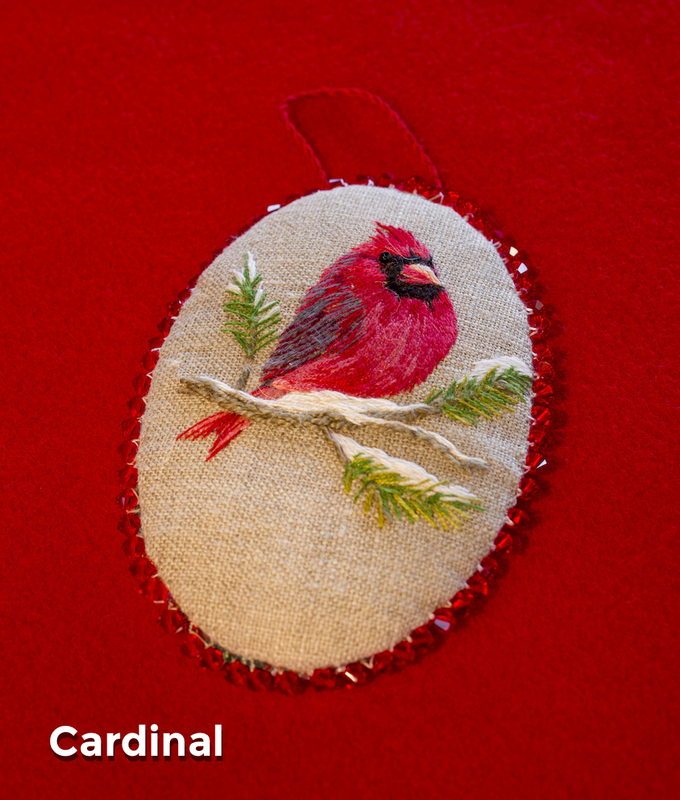 The Christmas ornament is easy and fun to stitch and construct. 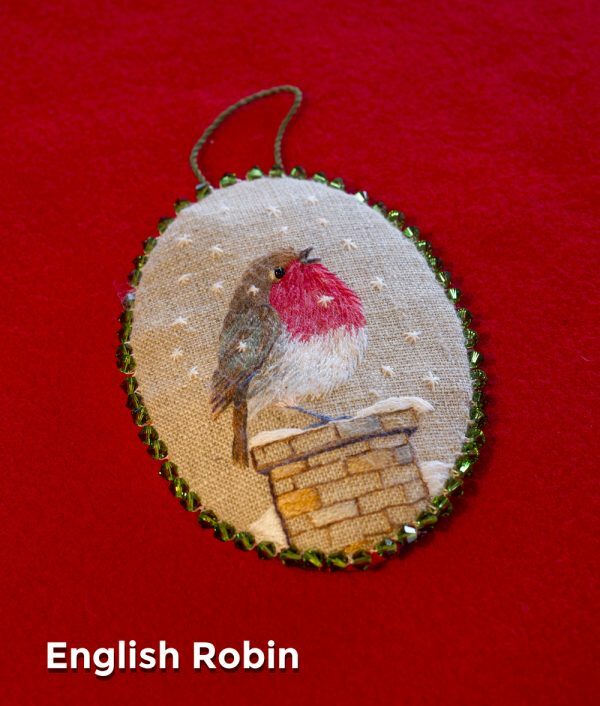 It makes a wonderful Christmas gift for a special friend or simply to enhance your home or Christmas tree. 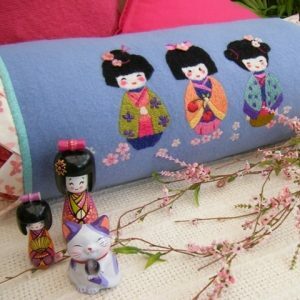 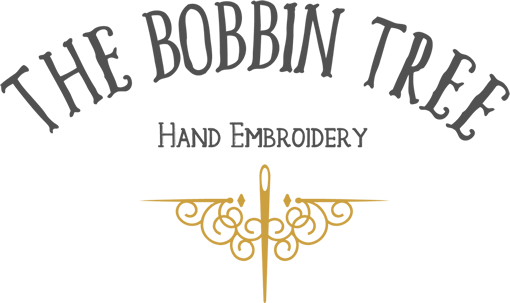 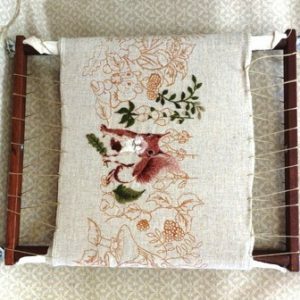 The Design has been pre-printed onto the linen for your convenience so there is no need to transfer the design. 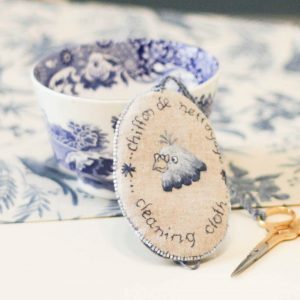 Each of the six kits come complete with all items to make up one hanging decoration including the pre-printed linen, threads, Swarovski Crystals, backing Fabric, Needles, beads for eyes, Pellon and the wooden disc. The finished item is oval in shape and measures approximately 11 x 8 c.m. 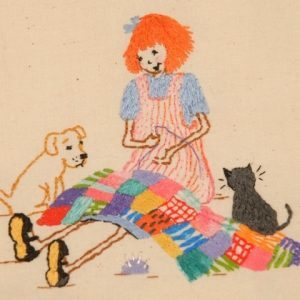 (4 1/2” x 3”).